A recent study by the American Cancer Society found that almost half of all cancer deaths were attributed to modifiable risk factors, such as smoking. 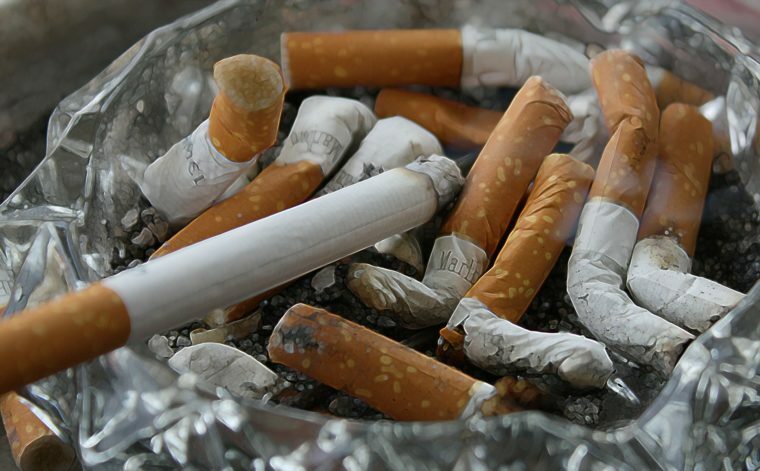 Smoking cigarettes kills more Americans than alcohol, car accidents, HIV, guns, and illegal drugs combined. While you may already know about all the risks associated with tobacco use, quitting is certainly not as easy as reading a pamphlet – and may be a source of frustration as you attempt multiple times to kick the habit throughout your life. Smoking cessation, though it may take time (and several attempts) to quit, can be achieved with the help of your physician – and developing a personal plan according to your lifestyle and level of dependency. First, it is important to know what to expect as you enter the first few days of kicking your nicotine habit. Withdrawal symptoms can include irritability, headache, shaking, insomnia, weight gain and other unpleasant side affects, but are temporary conditions. Make a plan ahead of time (keep in mind that only 5% of people are able to quit cold-turkey) so that you know you are making progress and don’t feel discouraged. It’s never too late to quit. Take this brief quiz to see if you need help quitting. Don’t have health insurance? Find out if you are eligible for free care at Barrier Islands Free Medical Clinic, where we can assist you in your decision to quit smoking and treat chronic health problems associated with smoking or weight management.